Three year old Bel Esprit filly Socialising hasn't had much go right this preparation and it seemed at least for a while today that her luck wasn't about to change. 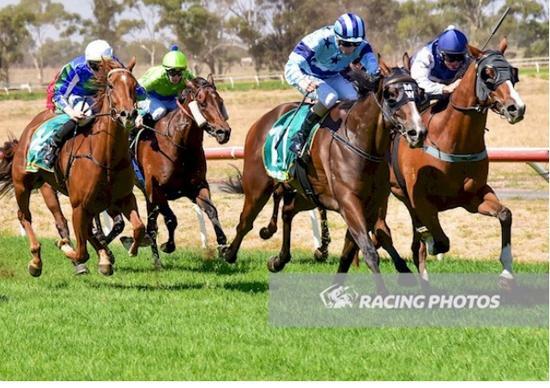 First up into the 1200m 3yo maiden at Donald she jumped away slowly from barrier 3 and was buried against the rail towards the back of the field. Race caller Rick Macintosh even quoted in his call that "she is going to need a miracle from back there". Jockey Harry Coffey didn't panic, but when the gaps appeared on the home turn they picked their way through the field to finally see daylight and in the last 50m she let down with an impressive turn of foot and hit the line strong. Congratulations to all of her connections, who have today been rewarded for their patience. This is a filly we have a high opinion of who looks to be heading in the right direction.